EOD-060100 controllers provide economical closed-loop operation. The nFControl Basic Software offers the ability to easily change control parameters via a Windows-based GUI. Controllers work with the widely-used strain-gage sensors. 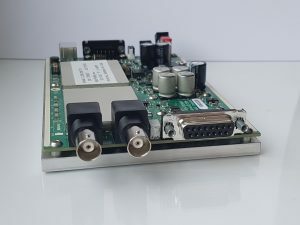 EOD-060100 comes as a PCB mounted onto a cooling-plate. The integration is absolutely easy.